For administrators, there's an area to edit users. 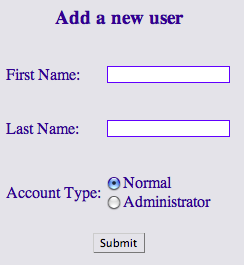 New users can be created with Normal or Administrator status. Existing users can be changed and passwords can be reset.